"TOP 10 IN THE WEST"
The Ranch was born of an authentic love of the land. Here, we invite you to create real experiences surrounded by unparalleled natural splendor – for a night, a week or a lifetime. Life is fast-moving; sometimes too fast. 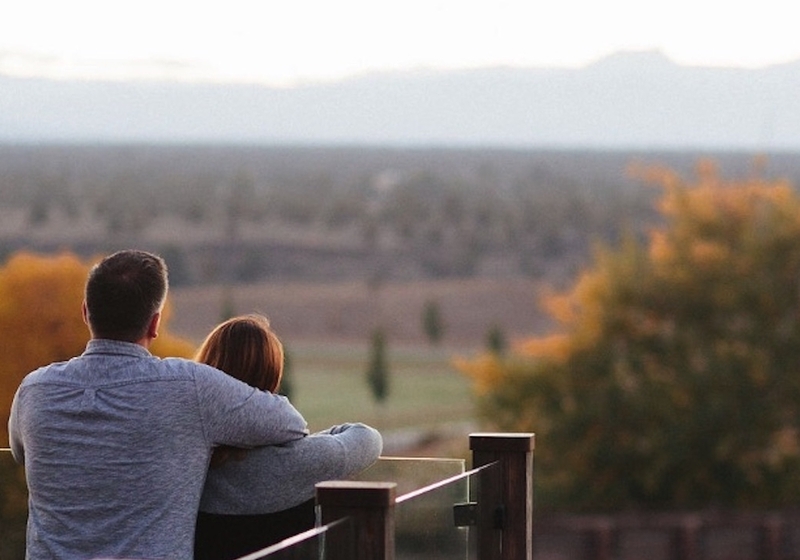 The Ranch retreat we create daily features life’s simply pleasures and ample opportunity to reconnect – to yourself, those you love, and our nature. There’s something different about staying at the Ranch. Not only are we the only Gold LEED certified resort in Oregon, but our accommodations were designed to ensure harmony with the nature that surrounds us. Farm-to-table is not a trend out here. It’s what happens every day when our Chef hops in his truck and takes a good hard look at what’s in season on the farms, ranches, and wineries of Central Oregon. It’s simple really: fresh equals flavorful. Central Oregon is full of treacherous golf courses but ours isn't one of them. We're not saying our course is easy. You'll find guarded greens, tricky tailwinds, and 18 stunning views that will distract you. But in the end, you'll discover playable feels a lot better on a scorecard than impossible. Stand outside of the Brasada Ranch Equestrian Center, at the foot of our horseback riding trails and look up. The high desert sky stretches endlessly overhead, sweeping and crystal clear in all directions. A light breeze carries the scent of sage and hay. The only sound is the soft stomping of horse hooves in dirt and the jangle of spurs on cowboy boots. This is a high desert riding experience that you'll never forget. While it’s easy to feel relaxed on the Ranch, Spa Brasada is our most intimate escape. Enjoy a hand-crafted menu of services and products – including our locally harvested lavender sage, which you’ll find in Spa Brasada’s Lavender Champagne and famous shortbread cookies. The amenity enjoyed most out here is the uninterrupted, panoramic Cascade mountain views. Whether you're at dinner, on the golf course, or roasting s'mores around the fire pit, the views will take your breath away. "BEST RESORT IN THE PACIFIC NORTHWEST"
Brasada Ranch has been named the "Best Resort in the Pacific Northwest" by the readers of Condé Nast Traveler, furthering its acclaim among Pacific Northwest resorts, by the world’s most discerning voices. Tucked into the southern facing hip of Powell Butte, Brasada Ranch escapes the gaze of many locals of Central Oregon. But if you haven’t been there, you don’t know what you’re missing. "LUXURY RANCH JUST RIGHT FOR ROMANCE"
"Couples are treated to romantic farm-to-table dinners, quiet hikes along nature trails and relaxing spa treatments. Book a stay in a rustic, yet elegant, cabin with a wrap-around deck, gas fireplace and panoramic views of the Cascade Mountains." "Brasada is more than just a luxury resort, it provides a lifestyle that honors the spirit of the American West where every need is met and every whim indulged providing for an unforgettable experience." "#1 WEDDING VENUE IN OREGON"
Brasada Ranch was awarded the "Best Resort Weddding Venue in Oregon" by readers of Oregon Bride Magazine’s. Brasada features eight luxurious wedding venues around the resort.